It doesn’t happen often, so when I feel the need to speak my mind, I do so passionately and without regret. 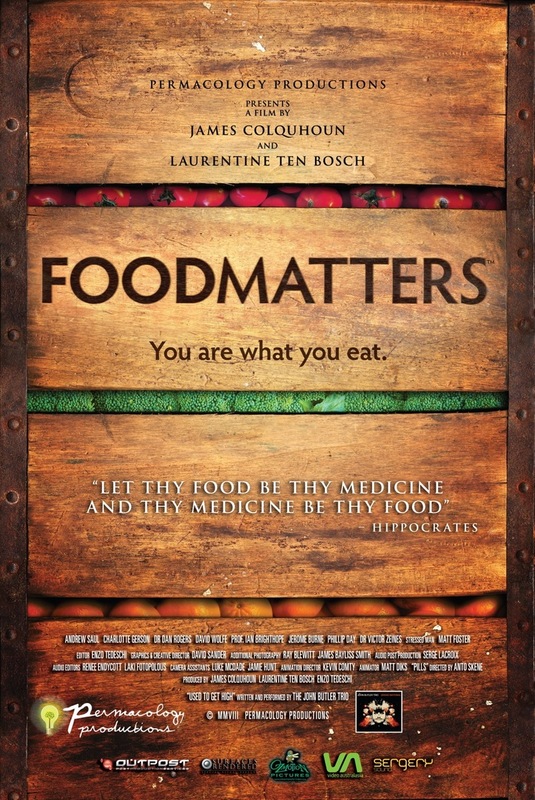 Recently, I at last sat down to watch the Food Matters documentary, which had been lurking for some time in my Netflix queue. It took a class assignment for me to finally dig it out. First I want to say that I am not here to bash anything. In fact, I found myself agreeing with basically everything that those interviewed had to say about our broken healthcare system, alternative ways of healing using raw foods and vitamins (e.g., for cancer patients, heart disease), and the wonderful work and studies being done using ortho-molecular therapy – or food therapy – for any number of ailments. Food is in incredible healing tool – or a potential slow burning poison, depending on your diet habits. But there was one aspect of the documentary that got my blood up a little bit, and I felt the need to express my feelings on one issue. We all need vitamins – but if you’re not careful, the amount you consume can potentially do more harm than good. Now, I am not an expert. I’ve only been taking nutrition courses for a year, but there are things you pick up as you go along. And I am not naïve enough to believe that there is any perfectly objective documentary. As any medium used as a mode of propaganda for a lifestyle, every single documentary has a slant in one way or another. But I suppose this one got to me in a very personal way, because I do believe so much in this documentary’s message, theories, and concepts. So it was disturbing when a doctor brought up a certain healing technique using vitamin therapy, which I found to be so horribly slanted and … well … a little dangerous to recommend. Dr. Andrew W. Saul, therapeutic specialist and author, in this documentary loudly sings the praises of vitamin therapy and its role in many a seemingly miraculous recovery for anything from depression to cancer. And I don’t doubt the validity of his case references (pictures were included in the documentary that spoke for themselves). What I did not appreciate was his – and that of several others interviewed – misleading comments regarding vitamin supplements and vitamin consumption. Well, I think in the end, it all boiled down to the attitude with which he expressed his beliefs, with the same nose-thumbing, eye-rolling response you get from doctors trained in Western medicine about holistic practices. For starters, Saul strongly pooh-poohed the idea that vitamin C can cause kidney stones, as touted by allopathic doctors. He claimed that neither for he nor the students he challenges to find evidence – none has yet to surface that proves it does. I can very readily give you a name of a dear friend who suffered this very ailment due to ingesting far too much of the vitamin – thinking that it was good for him. I, too, have lived to tell the tale of surviving an overdose of B vitamins, simply from downing one too many vitamin waters within a week’s time. Vitamins aren’t as ‘harmless’ as he makes them out to be. His attitude toward vitamin consumption was the looking down his nose at doctors and other healthcare professionals warning against high dosing of vitamins. While I am sure his prejudice in this respect is in regards to doctors looking past the results of the healing qualities of vitamins and still warning against their use, I walked away from the movie feeling that they were toting that vitamins are the next wonder drug, doctors are being silly when gun-shy about high doses, and you should just pop them like candy. It was the same “us versus them” mentality that gives me a sinking feeling in my gut every time I witness it. And I find that frustrating. Why can’t both be right? Because the truth, as we all know, is almost always somewhere in the middle. Dr. Saul discusses one case about a woman whose severe depression was eradicated simply by pumping her full of an enormous amount (11,500 mg a day) of the vitamin niacin/B3. He had advised her family to “give her as much as it takes to make her better.” While this is perfectly wonderful that such a simple fix was discovered with no adverse effects, the result is strictly limited to just this woman’s case. It is particular to only her body, which must have been grossly deficient or unable to properly absorb the small amounts she gained through her diet. Any normal person on the high doses she was on would have most likely experienced niacin toxicity – characterized by painful flushes, hives, rash, nausea/vomiting, liver damage, and impaired glucose tolerance. A healthy person is recommended by nutritionists to consume 14 mg/niacin equivalents (NE) a day for women and 16 mg/NE for men – and no more than 35 mg a day. That’s a far cry from 11,500 mg a day. While Dr. Saul’s eager recommendation of copious vitamins is in the vein of healing those deficient and in great need of said vitamins (that have garnered results I applaud! ), there is a complete lack of discretionary speech on the VERY REAL risks of toxicity – and that allopathic (western-trained) doctors have a point when they warn about high intakes. It’s not that they’re trying to ward people off from using them, but they have their dangers, too. Too much of any good thing for an individual will eventually backfire. 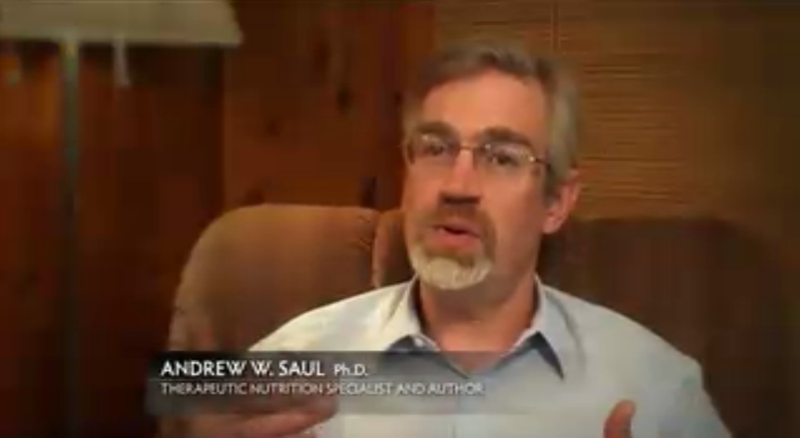 Fully educating people on both the wonderful healing properties vitamins can have, as well as acknowledging the risks, is something I feel Saul did not adequately perform. He did not responsibly delineate that there are indeed real risks to overconsumption of vitamin supplements, and that any kind of dosing should always be in agreement with a doctor or one with experience in vitamin treatments (such as himself). Instead he was rather righteous in his presentation of his work. In the end, it was his us vs. them attitude toward traditional allopathic practitioners that irked me more than anything. We’ll never manage to work together when medical practitioners on both sides of the fence – one well-versed in preventative care, the other in sickcare – keep their arms tightly crossed, eyes narrowed, and continue to criticize each other’s approaches to wellness. If you’ve seen the film, comments are welcome. Watch the film if you haven’t, because overall the information is pretty amazing about how incredible a healing technique eating right can be. Let’s break down this barrier, shall we?